Masrani Global Release Memo To It's Investors Over The Tragic Events On Isla Nublar. 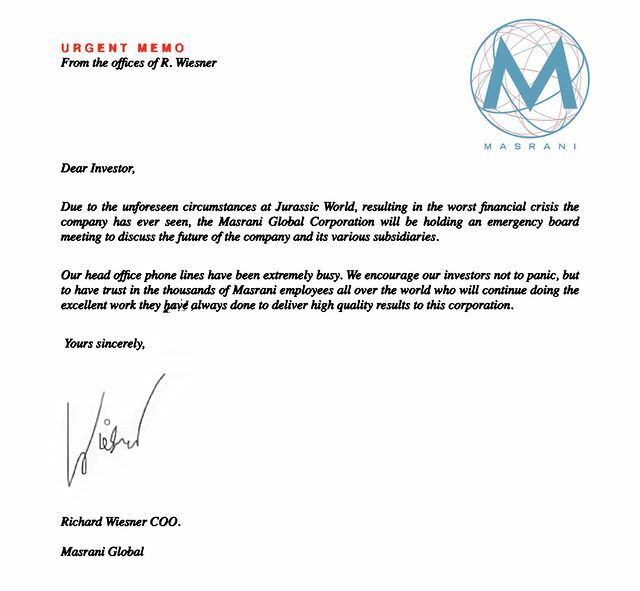 The viral site for Jurassic World, Masrani Global have released this fake memo to it's investors in light of the tragic events that took place on Isla Nublar. Those poor poor people...and investors. The memo encourages it's investors to remain calm and not to panic. New opportunities will be coming...soon.